The Spanish Bultaco is know in the US as the maker of small displacement off road bike. In the Western states on any day a small 2-stroke, knobby tired bike which hasn’t been out of the shed in years is available for sale. What you will not find very often in the states is Bultaco’s offering to the road racers. 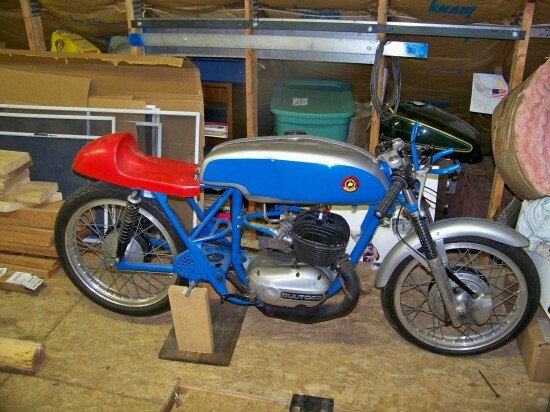 This 1963 Bultaco TSS is a two stroke race bike, blue smoke, fairing and all. Bultaco TSS Raod Racer. Very very Limited production. Most consider them hand made. 274 were produced between 1963 and 1969.. This ia a six speed Model 6 Air cooled 125cc TSS raod racer. 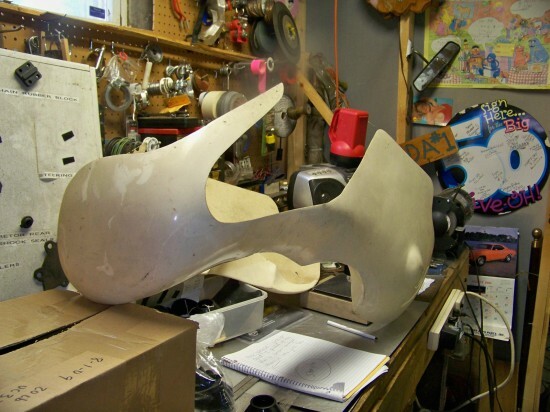 Comes with Full fairing. 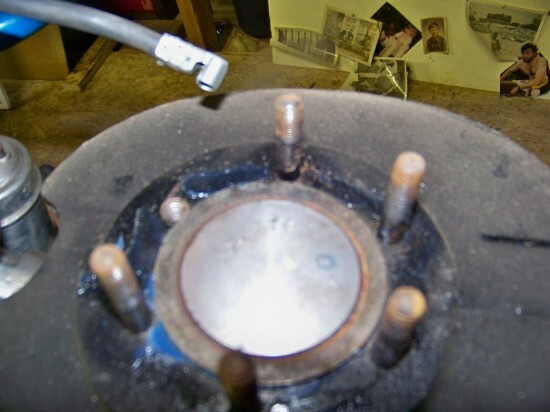 Sand cast motor showing how it was done “in the Day”. A hugh piece of History for Motorcycling when Bultaco was:” King ” of roadracing. 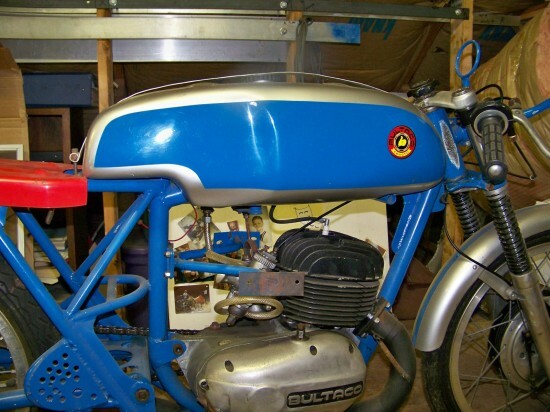 Bultaco built their road racing bikes from 1960 through 1970, and offered it up in displacement from 125cc to 350cc. The company and its TSS were seen on the World Championship cuircuit from 1961 through 1969, first in the 125cc class, later racing the 250cc class racing at a displacement disadvantage because of its 196cc displacement. Racing at the 24 hours of Barcelona, and the Grand Prix of France, Germany and Italy, they didn’t stand on the top step of the podium very often, but were competitive. 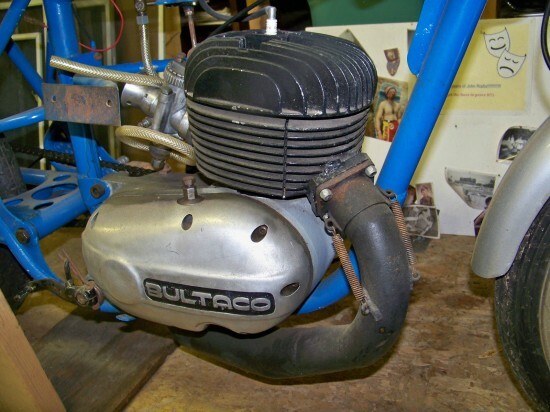 As the seller stats this is an air cooled 125cc, but in 1965 Bultaco was able to add a radiator and water circulation. 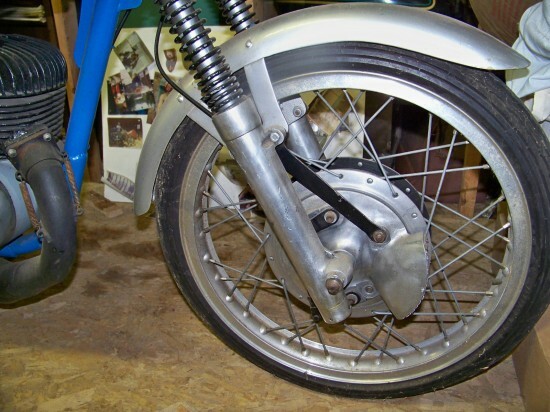 The air cooled 125cc were able to generate 20hp at 10,300rpm, but through development and the addition of the water jackets, the 125cc was later able to produce 27hp at 11,000 rpm. and by the end of production , 29hp at 11,500rpm was reached by this little 125cc smoker from Spain.